There is only one clear set of official criteria by which we class or not a cosmic body as a planet. These criteria introduced in 2006 by the International Astronomical Union saw Pluto demoted to the status of dwarf planet. Oddly enough, though, these rules were made for classing planets only in our solar system, meaning the 5,000 exoplanets (what should be planets outside our solar system) identified so far are now in a “definitional limbo,” according to planetary astronomer Jean-Luc Margot at UCLA. Luckily, Margot has come up with a solution which seems to work marvelously. Some scientists believe that if Pluto remains classified as a planet, then the dozens of Kuiper Belt Objects (KBO’s) orbiting our Sun would also be classified as planets. 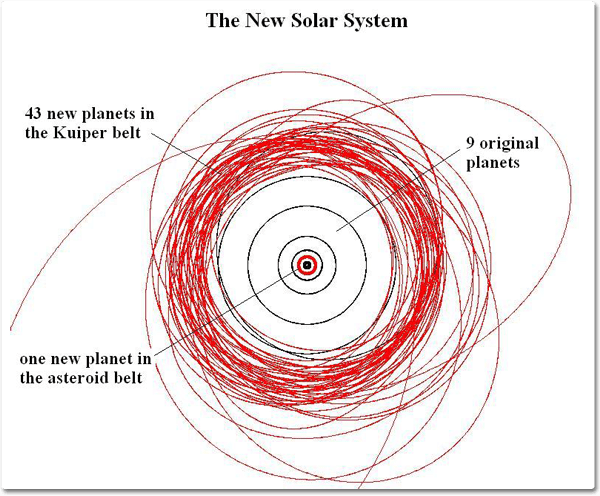 Our solar system would have the 9 original planets, an additional 43 KBO’s, and more as they are cataloged. The word “planet” comes from the Greek word “Planetes” – meaning wanderer. The ancient greek astronomers called this objects so since they found some points of light seemed to wander around the sky throughout the year. Prior to 2006, there was no scientific definition for the word planet, and people used the term loosely. Eventually, a consensus had to be reached given the increasing body of astronomical data and knowledge. The debate of what makes a planet got hotter once scientists discovered an object larger than Pluto within the Kuiper Belt, called Eris. In this dense cloud of ancient objects – remnants from the bygone early years of the solar system – there are still many large objects that remain unidentified. The solar system could have grown to dozen of planets, if we were to judge by size alone. It must orbit the sun directly. That excludes moons because although they indirectly orbit the Sun, they directly orbit a planet. It must be big enough for gravity to squash it into a round, almost spherical shape. That excludes the asteroids. it must have cleared other objects out of the way in its orbital neighborhood ( sweep up the trash). 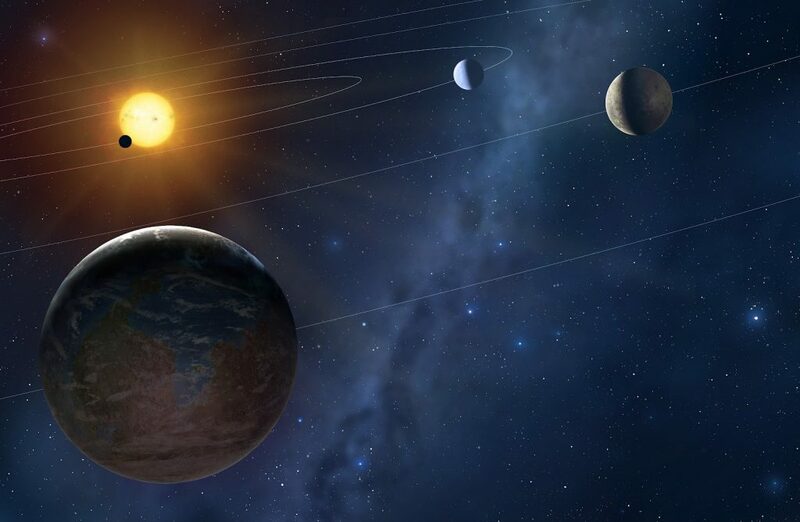 To clear an orbit, a planet must be big enough to pull neighboring objects into the planet itself or sling-shot them around the planet and shoot them off into outer space. This was eventually what caused Pluto’s demotion to dwarf planet status. This third criteria also became the object of intense debate following the 2006 ruling, which was made by less than 1% of all working astronomers (they’re not that many really). While controversial, a strict definition of what makes a planet was long called for. However, the definition – as it was formulated – is strictly valid for objects inside the solar system only. What about the thousands of exoplanets discovered by Kepler and ground-based telescopes? Technically, they’re not planets it seems. Margot is proposing to extend the planetary definition to planets outside the solar system, and he’s find a clever way too to circumvent the technical challenges. His method requires only estimates of the star’s mass and the planet’s mass and orbital period (all easily obtainable) to verify if the candidate planets verify the three criteria set forth by the IAU. “One should not need a teleportation device to decide whether a newly discovered object is a planet,” Margot said. Margot’s test can be used to determine whether a body can clear a specific region around its orbit within a specific time frame, such as the lifetime of its host star. Margot says the test can be used to classify 99 percent of all known exoplanets. When his mathematical computations are applied to the solar system, it clearly places the eight planets into one distinct category and the dwarf planets — Ceres, Pluto and Eris — into another. The next IAU general assembly is scheduled for 2018. Hopefully, Margot’s paper will be discussed at the meetings.